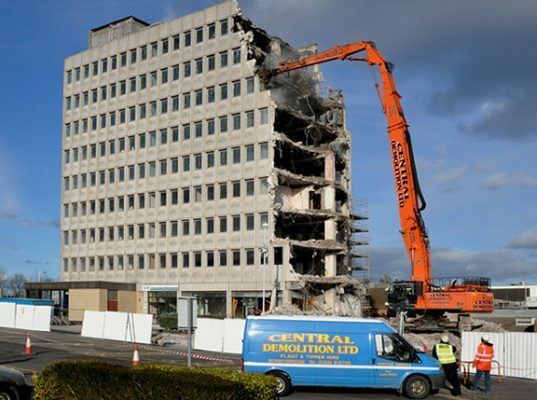 Central Demolition Limited were awarded the contract for the demolition of former Falkirk Council offices in Bonnybridge. 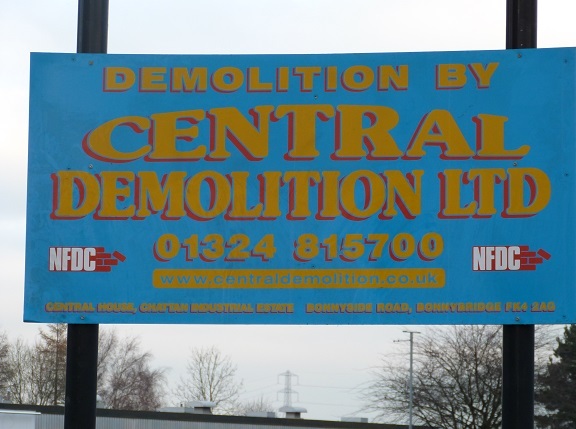 The site was based just down the road from our Head Office, which assisted us in achieving an excellent recycling rate. 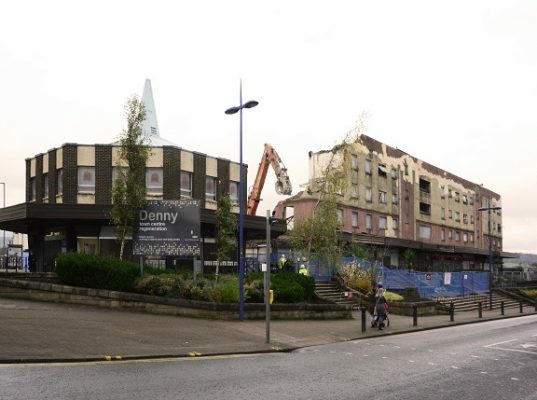 The project involved the removal of licensed and non-licensed asbestos containing materials as well as soft stripping the structures in preparation for the demolition works. 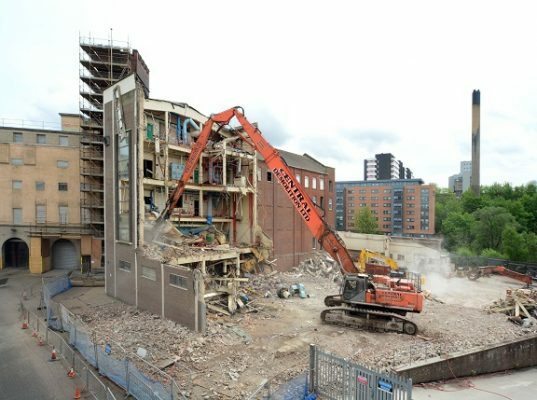 There was a building of 2 storey masonry construction with rendered external walls, concrete floors and a flat felted roof to be demolished, as well as a steel storage shed. 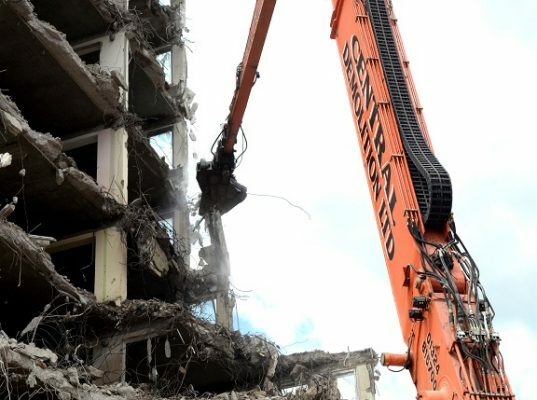 Both structures were brought down by machine demolition. Though not a particularly challenging project, there were risks. 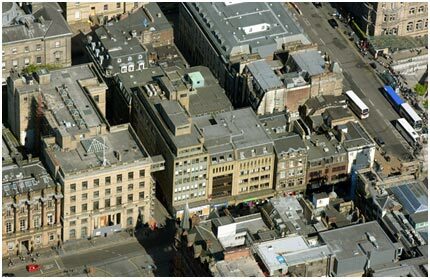 ‘Live’ buildings were situated in close proximity to the site. We ensured that inconvenience was minimised by liaising regularly with neighbouring businesses. The site also bordered a main road but we ensured that there was no disruption to passing traffic. 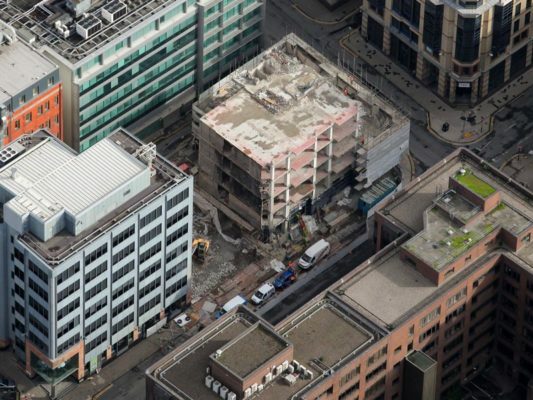 Our comprehensive health & safety planning ensured that the works were executed safely. All materials arising from the works were transferred to our local Bonnybridge recycling centre for processing and recycling. 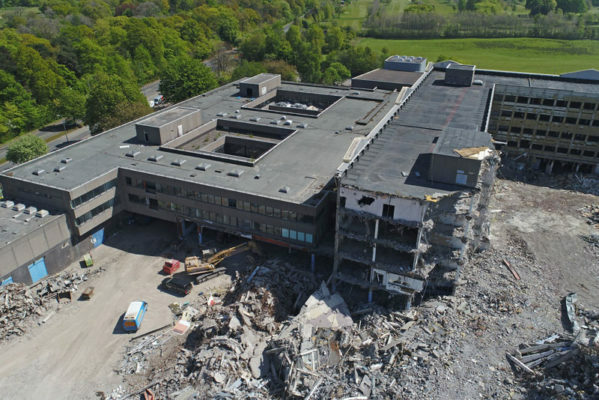 This project was certainly an environmentally friendly one, with a recycling rate of 99% being achieved. 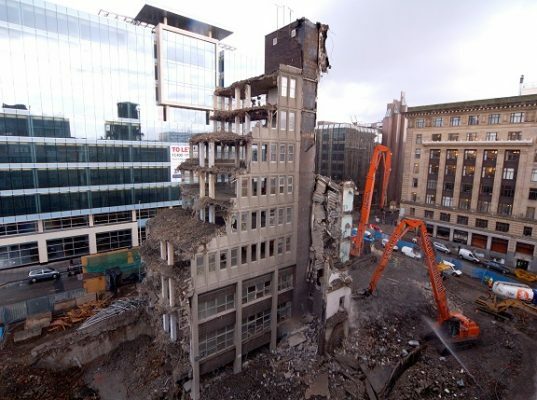 The only non-recyclable materials were the asbestos containing materials. Overall, this was a very successful project. It was delivered safely, on time and within budget. We achieved an excellent recycling rate and our client was satisfied with our high standards on site.